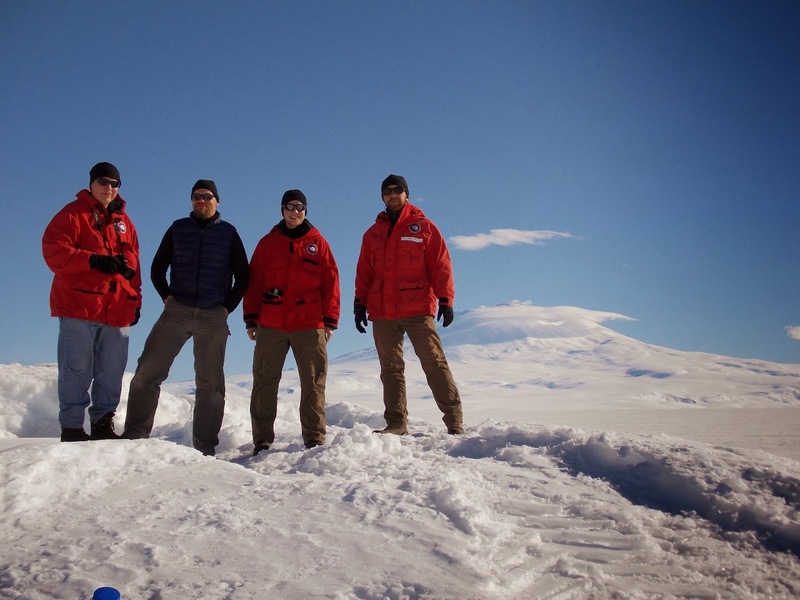 Since arriving at McMurdo, the SuperTIGER recovery team has been busy getting ready for heading out to the payload. What does this involve? The answer is, a lot. The logistics of flying people and equipment around the remotest and most inhospitable place on Earth (although that may currently be the mid-west United States) is something you don't really grasp until you sit down in meetings (scientists, NSF and McMurdo logistics etc) and flesh out all the details of your trip. Thankfully the brunt of that work was felt by Thomas and John (who had done this kind of thing before on the recovery of the BESS-Polar II payload in 2009). As the new guy, I found the organization and logistical planning around working in the "harsh continent" fascinating. 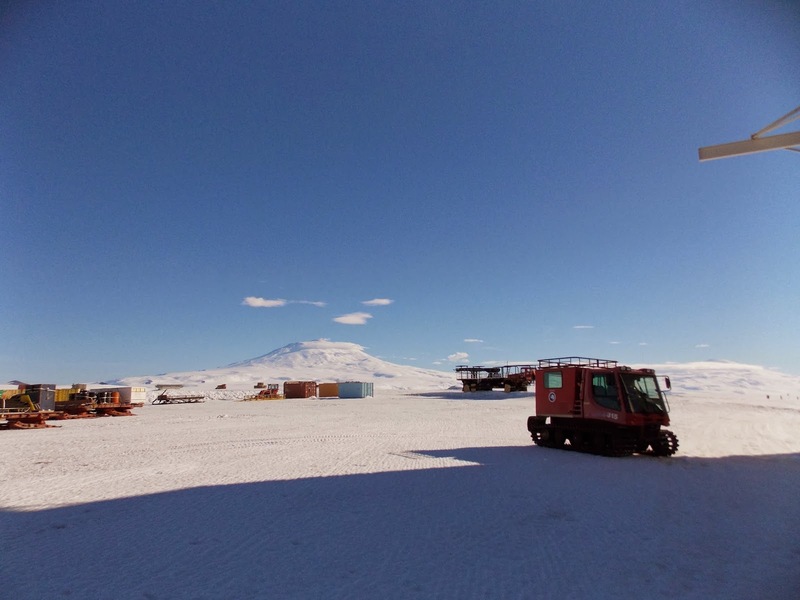 To get to the SuperTIGER payload, we need to transport ourselves (the 4-member science team) and up to 2000 lbs (910 kg) of recovery tools and camping equipment from McMurdo station to the Amundsen-Scott station at the South Pole (~ 920 miles/1480 km), then from the South Pole to the payload site (a further 540 miles/870 km) and our awaiting camp/groom team. Before all that though, you need to get fuel out to the payload site (for the planes to refuel) which means an LC-130 needs to perform a "fuel drop" near the site (parachuting a pallet of 40 fifty-gallon fuel drums to the ground successfully). Once that fuel drop is completed, then the groom team can fly out on Twin-Otter aircraft to prepare a ski-way (i.e. a runway on which heavily loaded aircraft can takeoff safely) along with the general camp. All of this involves several disciplines and departments: fixed-wing (for aircraft), fuel, cargo and Berg Field Camp (the BFC) amongst several others. 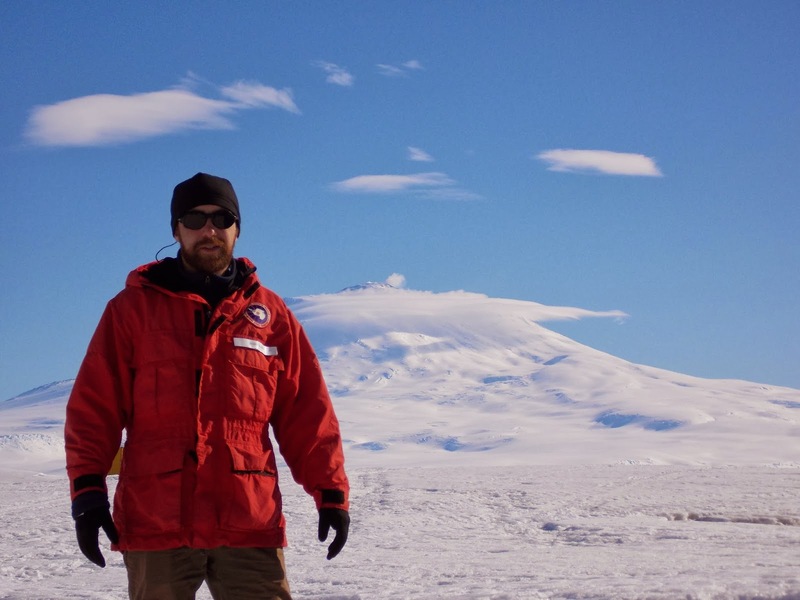 Add the famous unpredictability of Antarctic weather to the mix, and you have yourself a logistical headache. All you can do is plan for the worst, be flexible and don't panic (too much). The last few days has seen the team rifling through shipping containers, compiling and organizing all our tools needed for recovering the payload (i.e. screwdrivers, drills, saws, drill-bits, rope, wire-cutters, clippers, ratchets, sockets, hammers, ice-pick, shovels and so on). You can be sure there won't be a Lowe's nearby if someone forgot to pack a 1/4" combi-wrench. 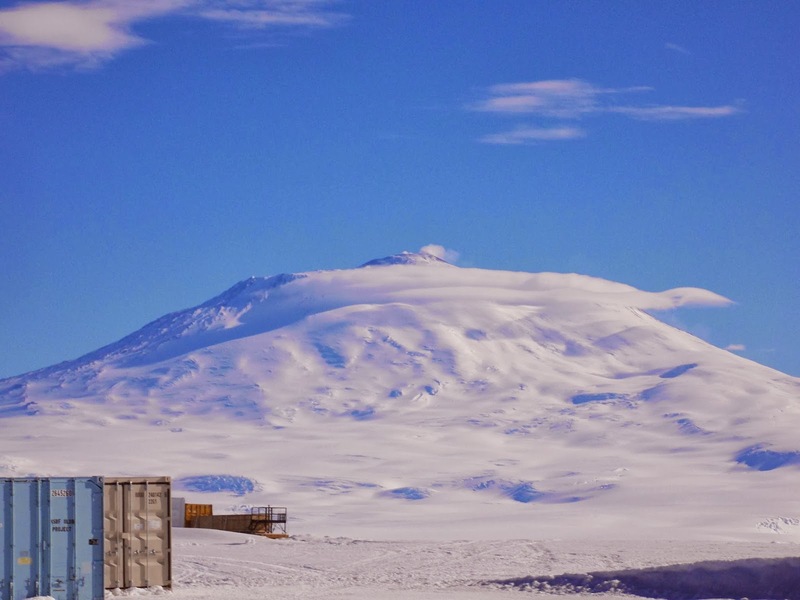 Some of the recovery items needed were actually being kept at the NASA Long Duration Balloon (LDB) facility out at Willy Field (about 6 miles/9.6 km away from McMurdo station). 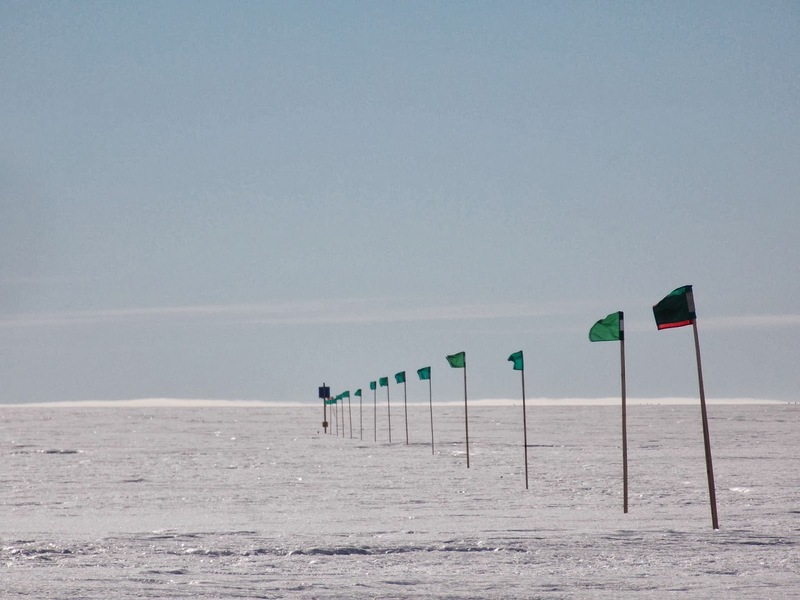 Unfortunately due to the government shutdown last year, the entire ballooning season was cancelled (resulting in the cancellation of two scientific-payload launches and one NASA test balloon launch, just one of the many scientific casualties resulting from the shutdown here in Antarctica). This meant the facility was never really prepped for the summer season. 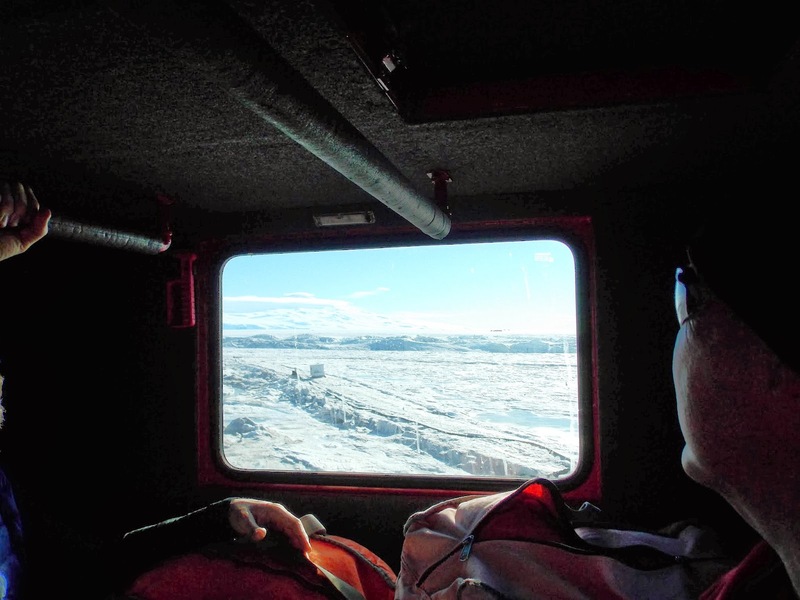 Due to the warm weather here in McMurdo, the roads out to LDB and the Pegasus airfield are in very poor condition, hence all wheeled vehicles are banned from traveling on the road (except for the Deltas and Ivan the "terra" bus shuttling people to and from Pegasus). 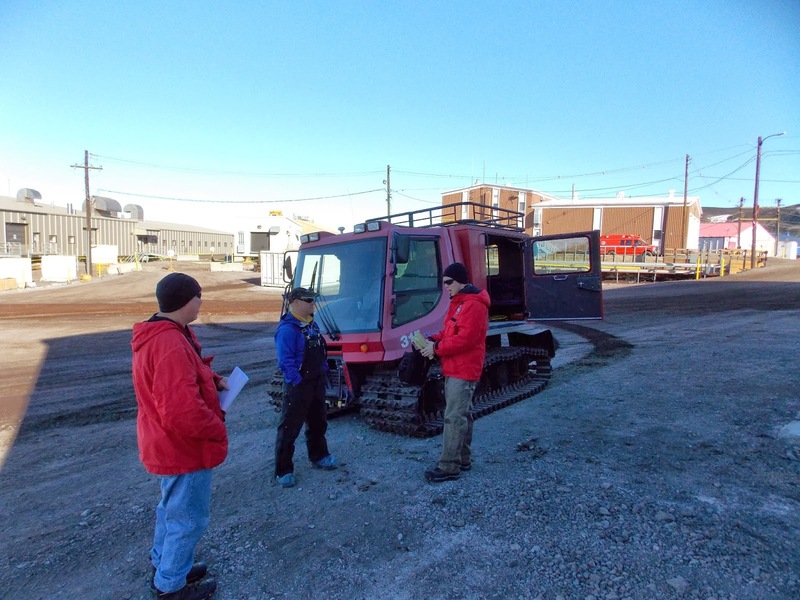 However, we needed to grab our stuff, so we were kindly helped by our local National Science Foundation representative Brian Johnson who provided transportation to LDB in the form of a tracked "Pisten Bully". These tracked vehicles can seat six (without any gear in the cab) quite comfortably and truck along at about 8 mph! Tuesday morning at 830am, Brian started all four of us on the road to LDB. John, Brian Johnson and Grant ready to roll. It was going to be nice to be heading out the LDB facility again, without doubt my favorite commute in the world. This time however, I wouldn't be riding the warm and (relatively) comfortable Ivan the "terra" bus but this motorized box on tracks. A box with a seriously beautiful view though. 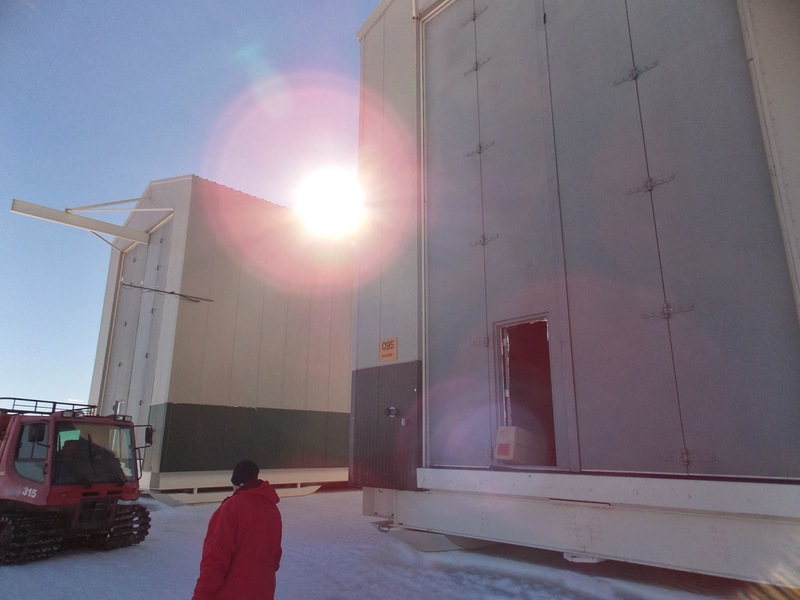 Once we arrived at an eerily deserted LDB facility, we entered into one of the payload buildings (where we had been told our things were left) and loaded up the Pisten Bully. As this only took about 10 minutes we decided to have a walk about and take some pictures. The view from the LDB payload buildings. Not everyone works near a volcano. The way out to the launch pad. Usually there is a road-way here, another casualty of the shutdown. Brian was very kind and acted as our personal photographer while we made suitably grandiose poses in front of Mt Erebus and the surrounding area. It was definitely chillier out at LDB than at McMurdo so our modelling session was cut short for the warmer confines of the Pisten Bully cab. 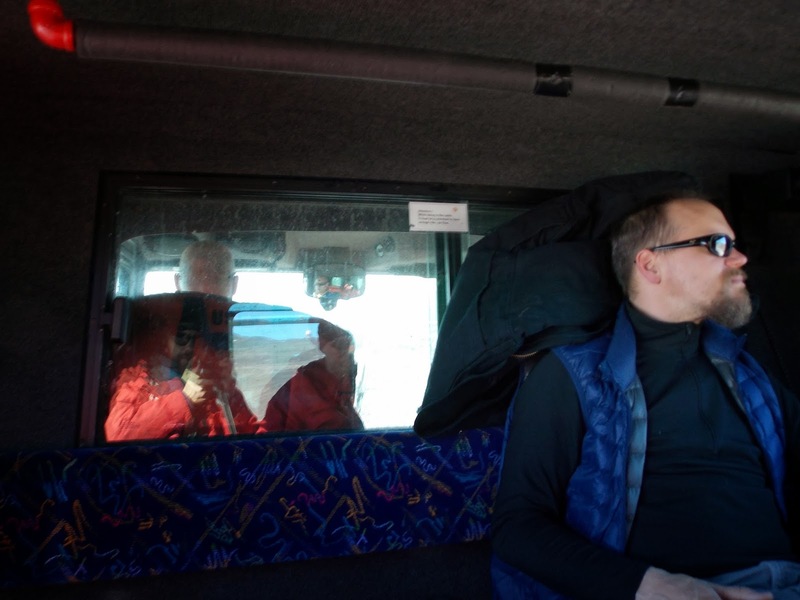 On our way back, packed in and surrounded by our tools and cold-weather gear (with my lower back receiving a thorough and unwanted massage from the Pisten Bully trundling over the snow and ice) we had one of those special encounters unique to Antarctica. An Emperor penguin was spotted (Grant had seen him the previous evening at Happy Camper school in this area). 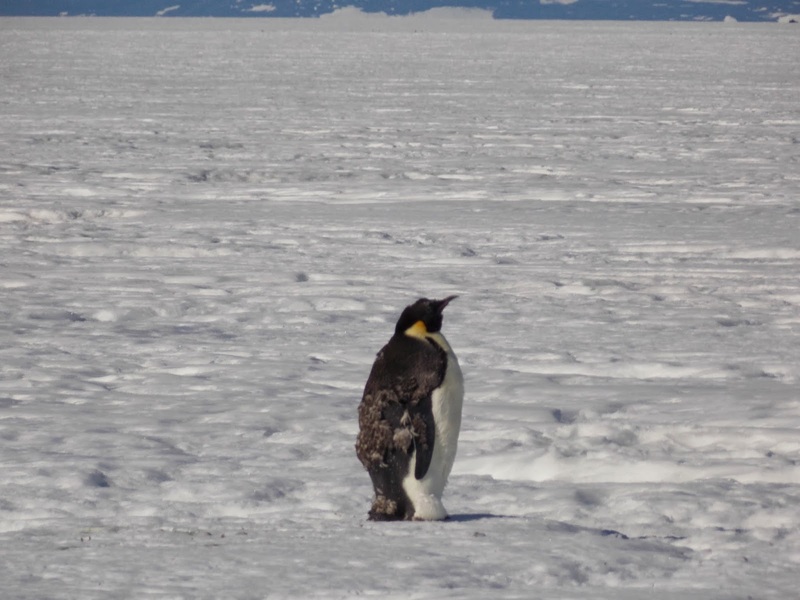 It is not unusual to see Emperor penguins alone in a remote area, where they molt in peace. This one was hanging out about 30 meters from the road. We stopped and from a distance took some photos so as not to disturb him unduly. Personally, I thought he looked fairly miserable (although in fairness, I'm no penguin psychology expert). Last year when I left McMurdo, I finally saw an Emperor (also molting and solo) at Pegasus airfield. I never really expected to see another (except at a zoo maybe) so it was an affirmation for me that you just can't tell where you may end up again in the future. I agree. It’s always better to be prepared, especially when you go to a remote area like this. You need to bring everything you will need. It’s a good thing that you planned it and checked if everything can fit into the shipping containers before it actually loaded up. That must've been hectic. Good blog. When i appreciated this a lot.